The Work of Leaders made simple! Everything DiSC® Work of Leaders focuses on the most fundamental steps for leading a team toward desired future outcomes. Using the framework of Vision, Alignment, and Execution, this program provides a three-step process for helping leaders achieve strategic goals while examining their leadership effectiveness at each step along the way. Crafting a Vision of new possibilities for the future through exploration, boldness, and testing assumptions. Building Alignment by communicating clarity, engaging in dialogue, and providing inspiration, so everyone is moving in the same direction. Championing Execution through momentum, structure, and feedback to enable the group to capitalize on its talents while making the vision a reality. Everything DiSC Work of Leaders is classroom training that uses online pre-work assessment, engaging facilitation with contemporary video, and online follow-up tools to create a personalized learning experience. 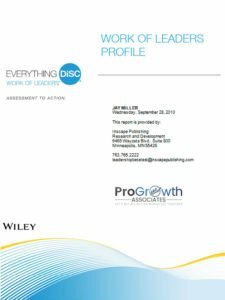 The Everything DiSC Work of Leaders Profile is an online self-assessment that produces a personalized 23-page informative report. It helps leaders understand what it takes to craft a vision, build alignment, and champion execution of their team’s goals while assessing their leadership effectiveness at each phase. This one-of-a-kind assessment identifies a clear path for leaders to follow. It provides a benchmark comparison between best practices and the leader’s style. The Everything DiSC Work of Leaders Facilitation Kit provides everything you need to deliver a memorable training experience. It includes five 60- to 90-minute modules, each of which includes a fully scripted Leader’s Guide, Participant Handouts, and a PowerPoint presentation with embedded video. Experiential learning activities are included throughout the program. Easily customizable. Create an end-to-end leadership development program or concentrate on specific areas. Switch out video clips. Modify the PowerPoint presentation, Leader’s Guide, and handouts. Add or delete sections to fit any timeframe. 36 dynamic podcast segments specific to one of the three components of the Work of Leaders model—vision, alignment, and execution. 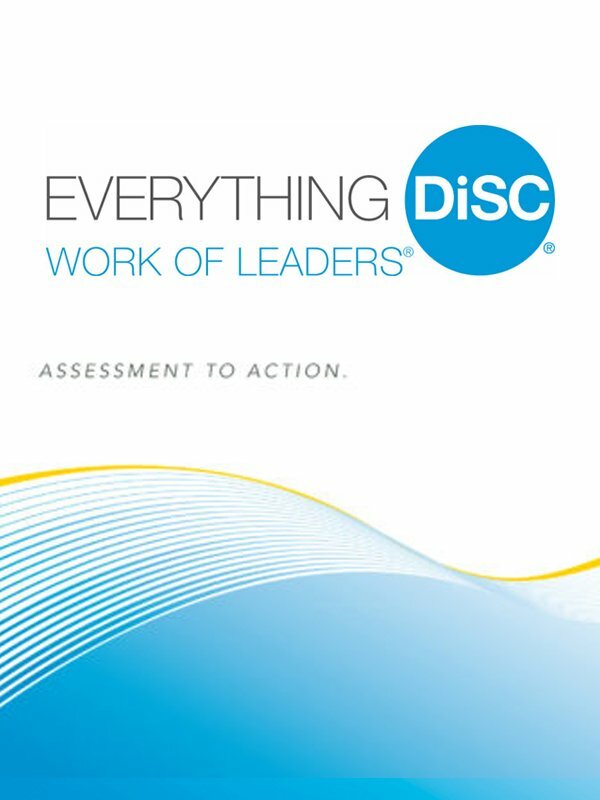 Explores how DiSC styles inform the role of leaders and introduce the eight priorities of the Everything DiSC Leadership Map. 60-70 minutes. Role-playing interview simulation engages learners in identifying their strengths and challenges in each of the three key areas of the Work of Leaders model and, selecting one key challenge area, crafting a complete action plan for improvement. 60-75 minutes. Includes 17 video segments of contemporary leadership examples to connect leaders to real-world demands and generate powerful conversations that provide a clear path for action. Use as stand-alone clips, integrated with the facilitation PowerPoint, or integrated into your custom PowerPoint presentation. Ideal for individual coaching or small group work. Insightful and robust 10-page research-validated reports can be created for any two participants—even people who have taken different Everything DiSC® profiles, such as a Manager and a direct report who completed Everything DiSC® Workplace. Reports illustrate their similarities and differences, potential roadblocks in working together, and practical tips for improving working relationships between colleagues. Unlimited access with all Everything DiSC profiles. Ideal for pre-session planning to help craft strategies for working with specific groups and individuals. Designed exclusively for use with the Everything DiSC Work of Leaders® Profile, the Work of Leaders Facilitator Report brings together individual data to give facilitators a deeper understanding of the group. Both group and individual data is presented by graphs to illustrate their approach to Vision, Alignment, and Execution, accompanied by a brief explanation and personalized discussion questions. By understanding the group’s strengths and challenges, the facilitator can help draw our powerful conversations and indispensable action plans. Sold separately.